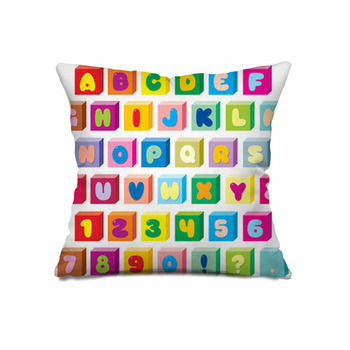 Our alphabet pillows showcase your love of words and language, while also stimulating your kids to learn letters, and eventually words, from the youngest of ages. 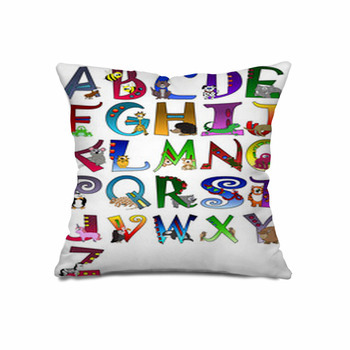 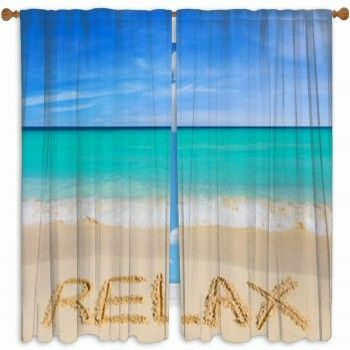 Select throw pillows that display the alphabet in a huge variety of ways, such as letters cut from magazines, written in a child's handwriting, created from a rainbow of colors, or made with cartoon characters. 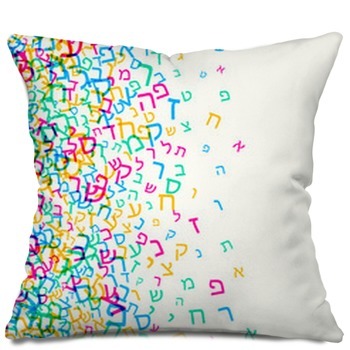 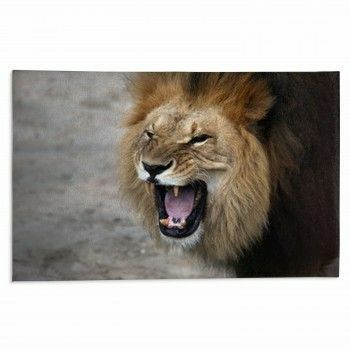 Give your kids pillow shams that help improve their reading skills. 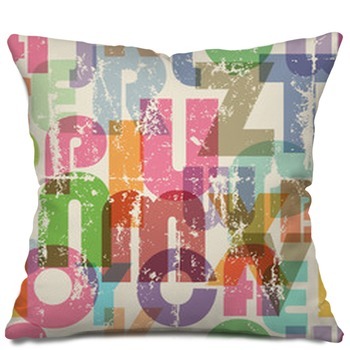 They'll have the building blocks of words right in front of them with a Euro sham that pictures children's toy blocks. 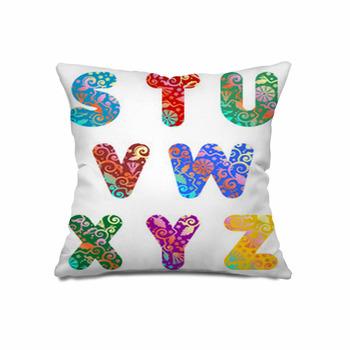 The letters are shown on these pillows in big capital letters colored blue, red, green, or yellow. 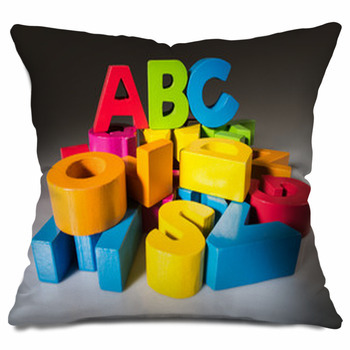 These pillows and pillowcases can help your kids' knowledge blossom with the entire alphabet depicted in green. 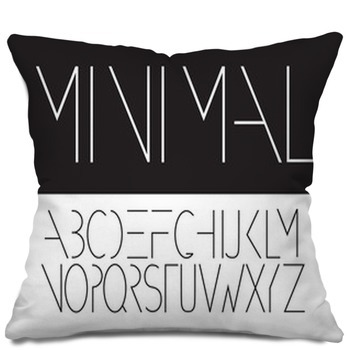 Each letter on this design is sprouting a tiny green leaf against a white background. 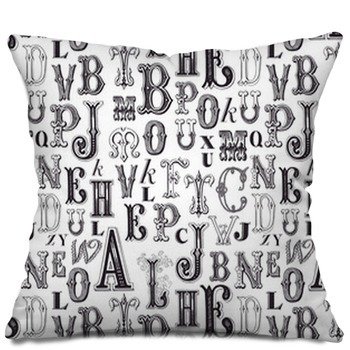 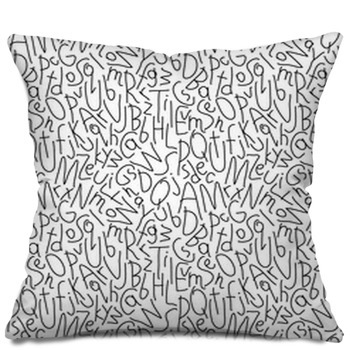 But don't feel limited to our options, because you can add your own custom designs to our alphabet pillows. 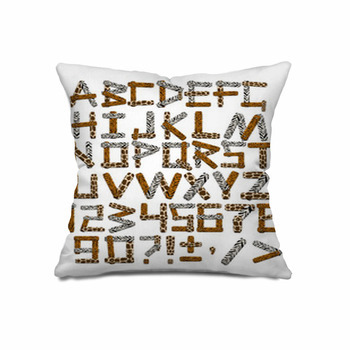 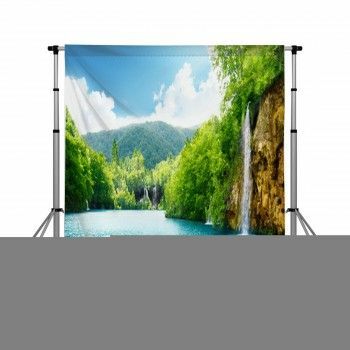 Try adding your own personalized backdrop to our stick figures holding up alphabet letters. 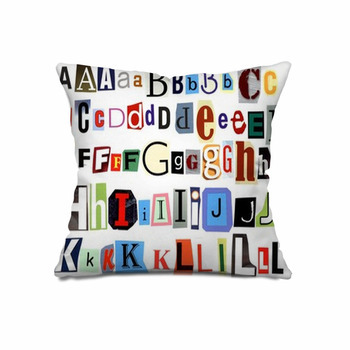 Make things fun for kids with their pictures in the background of a pillow featuring letters that make up their name. 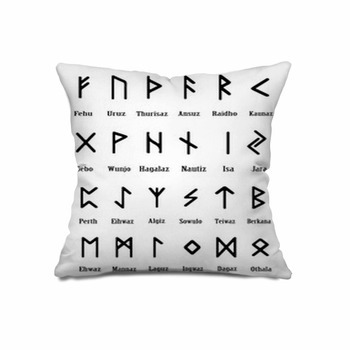 No matter what you choose, designing your own pillow is as easy as ABC.